Implants have turned out to be a well-established therapy in dental practice for the replacement of missing teeth and restoration of function. Peri-implant disease denotes the inflammatory condition of surrounding soft and hard tissues. Two terminologies are covered under the impression of peri-implant pathology; peri-implantitis and mucositis. Peri-implant mucositis is a reversible inflammatory process limited to soft tissues around an implant. Peri-implantitis is an inflammatory condition of hard and soft tissue around the dental implant. Bacterial infections are the most common cause of peri-implantitis. It is a variable poly-microbial infection, although generally dominated by Gram-negative anaerobic bacteria Anti-infective therapy should be included in the treatment regime, while treating the peri-implant disease. Antimicrobial therapy includes local debridement, antibiotic therapy and surface decontamination of the implant. 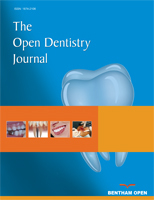 The current article gives a detailed overview of microbial etiology, antimicrobial therapy and its limitations for the treatment of peri-implant Pathology. Keywords: Implant, Peri-implantitis, Antimicrobial, Microorganism, Antibiotics, Microbial etiology. © 2018 Hussain et al.